I'm a digital nomad managing a remote team of internet-marketing professionals Good.Vertising and we are exactly the experts you are searching for. I've been in digital-marketing business for 12 years, last 4 of which helping online businesses become data driven by implementing measurement frameworks and optimizing conversions. Me and my team members have experience and will be happy to help you with one of the following services. 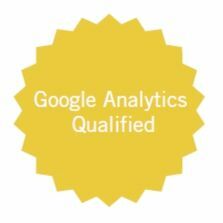 We are Google Analytics certified and can help you with any kinds of tasks related to these tools. Including setting-up goal, event, funnel, ecommerce and enhanced ecommerce tracking, analyzing, troubleshooting, reporting using GA API, creating custom reports, dashboards and measurement frameworks. Also have experience integrating BigQuery with Google Analytics Premium to build reports using unsampled data. Getting actionable insights from statistical and other type of data and A/B testing to increase conversions. We do full service: from idea to implementation in VWO, Optimizely, Convert, including creation of hypothesis, testing plan, creating wireframes and jQuery coding to create variations and reporting. Web-analytics is my passion and me and my team will help you make use of your statistics to make your business grow. Apart from Google Analytics and CRO services we help our clients drive quality traffic to their sites by optimizing them for search engines (SEO) and manage their Amazon shops and increase their profitability. Use form below to request case-studies for any of our services. We've had clients from almost any field: starting from simple personal blogs and corporate web-sites, to big online travel-services, finance and ecommerce companies. "I have a tremendous amount of respect for Tony. He's one of those rare gems of online marketing, with a balance of technical and business savvy. Despite that, him and his team also execute very well. He's delivered some extremely high lift rates in conversion testing,and has been very helpful on complex GA/GTM implementations." Tony was great! He provided the expertise we needed with Google Experiments. He also went above and beyond and provided some great insight into other areas of Google Analytics. "Job perfectly completed. Thanks Tony." And 100 testimonials more on my LinkedIn and UpWork pages. Or simply schedule a call with me.